DSI has been awarded ISO 13485:2016 certification. This certification is an international standard that outlines the requirements for a quality management system specific to the medical devices industry. It validates DSI’s ability to design, develop and test medical devices that consistently meet customer and regulatory requirements. Congratulations to our President, Jim Smith! 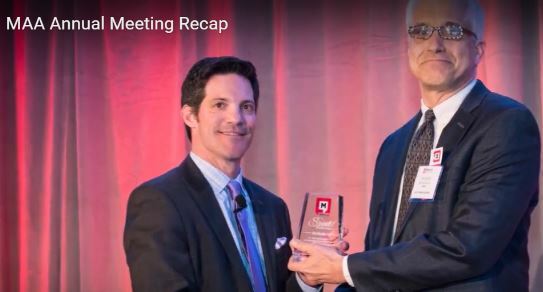 Design Solutions' very own President, Jim Smith, was recognized at this year's Medical Alley Association annual meeting as a "Spirit of the Alley" honoree for his outstanding effort in continuing to develop the R&D educational programs offered by Medical Alley. The Design Solutions family is very fortunate to have Jim as our fearless leader! Look for Jim in the MAA Annual Meeting Recap video around the 1:28 mark.